In the 7th grade I was given a book filled with drawings by a medical artist. The mostly black and white drawings were of human body parts from big toe to brain, sliced to show every layer from epidermis through bone. Surgical procedures such as appendectomies, were drawn in step by step views from the initial incision to the final suturing. These drawings, a surgeon told me, were more clear and readable then photographs. I was fascinated and began to carefully copy the drawings page by page – all with the intention of becoming a medical artist. When I entered high school I showed my copies to the art teacher who seemed impressed. Whether it was my skill or perseverance that caught her attention, she didn’t say and I didn’t ask. She did however, recommend I do some original work. 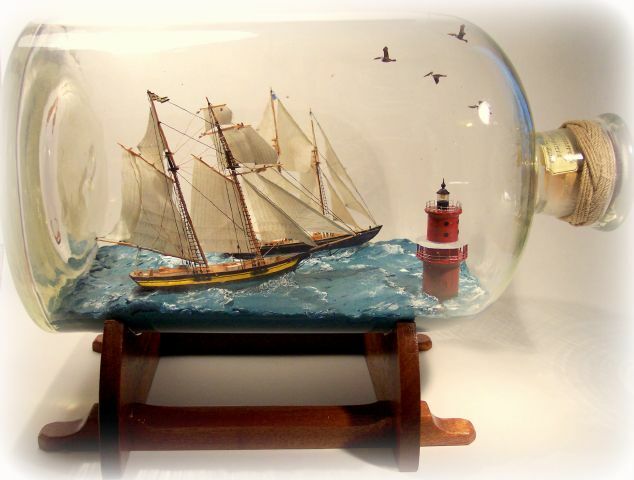 I began sketching Chesapeake Bay schooners. Their lines fascinated me and I drew dozens of these beautiful boats, all pretty much the same, sails full blown, all heading in the same direction through formula waves. 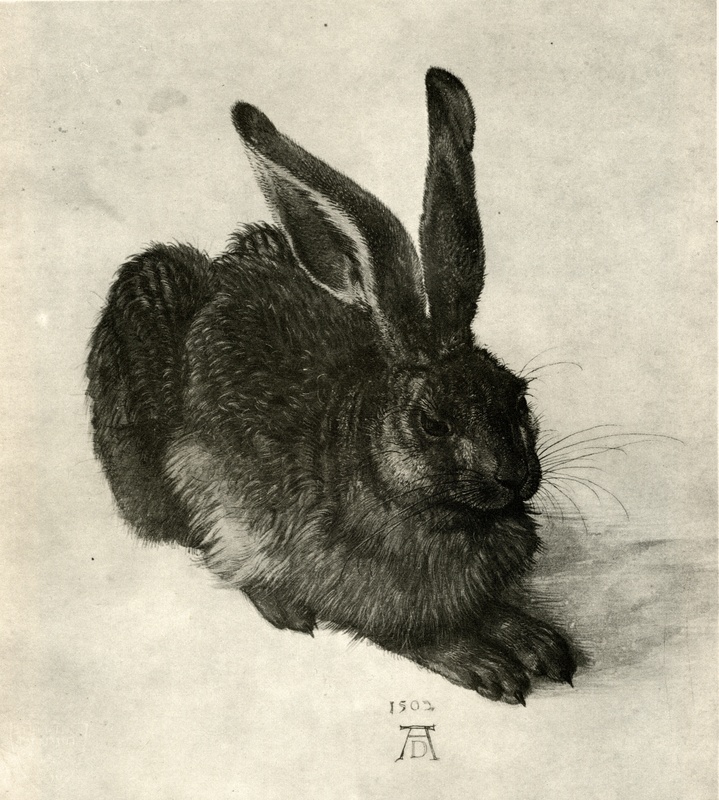 My teacher prodded ne to try somethig else and for inspiration, suggested I look at books of drawings by master artists. When I first saw Ingres’ pencil sketches, I knew the game was up. Ingres had spent time in Italy and to make money he sketched tourists in situe, creating post card like mementos of their travels. I looked at other Ingres drawings and thought of him whipping them off. I wondered how many he could do on a good day. I tried copying Ingres work and my attempts to achieve his elegant, sure lines were frustrated. The artist/percussionist Michael Craden (1941-82) told me to look at artist’s drawings to discover something about their working methods: the lines Michelangelo drew to create his neck and those peculiar eyes, the lack of reworking in the Ingres, Rubens precise rendering of the young woman’s face and the casual treatment of her collar and hair, the child’s innocent gaze, touch and his halo, as well as the horizon lines through the Madonna in the Raphael, the Bruegel bold lines, particularly in the artist’s cuff presage van Gogh and Durer’s hare, a watercolour no less! Today I am an inveterate seeker of art. My idea of a great holiday is a trip to the Mall in Washington, DC with its 20 or so Smithsonian buildings, all free to the public. Megabus takes time, but its the least expensive way to go. The trip via NYC and Philly takes 13 hours, but at night. 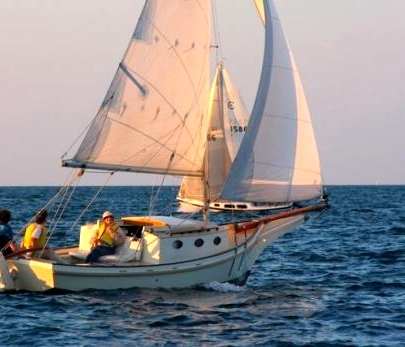 Round trip from Toronto is about $40.00 per person and includes Wi-Fi. The money my wife and I save by bussing and the for gratis Smithsonian, goes towards a decent hotel and, most important, frequent visits to Hank’s Oyster House. Below is a random selection of a few of my favourite drawings. Collectively they continue to sooth my soul and I remain in awe of their artist’s abilities. 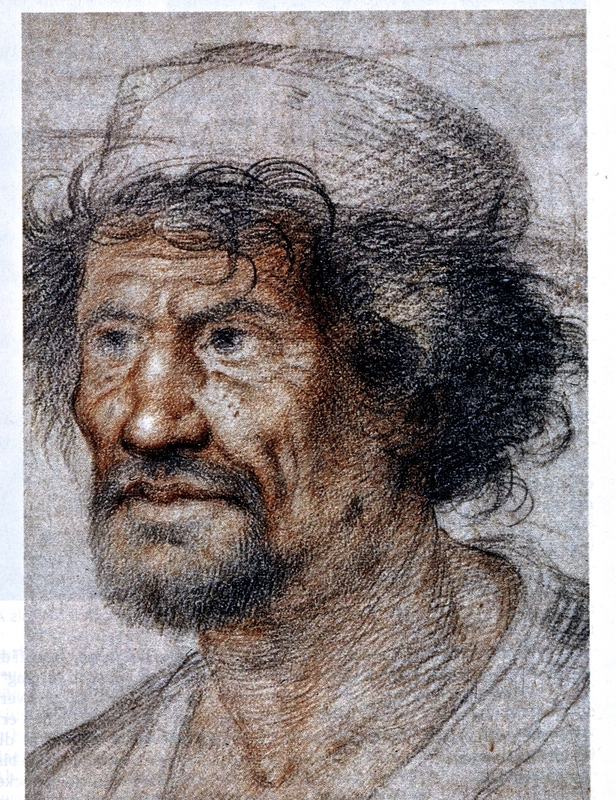 Michelangelo self portrait, 1515, crayon. 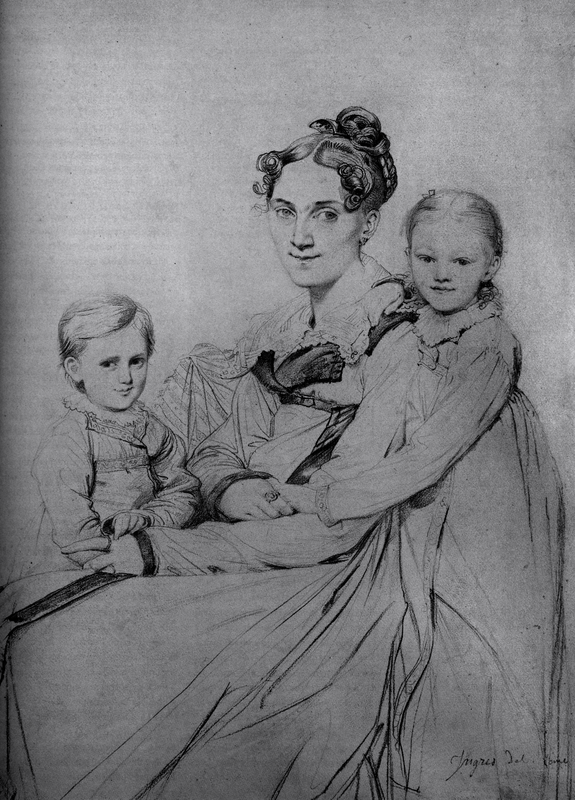 Ingres, Frau Ritter and daughters, 1805, graphite. 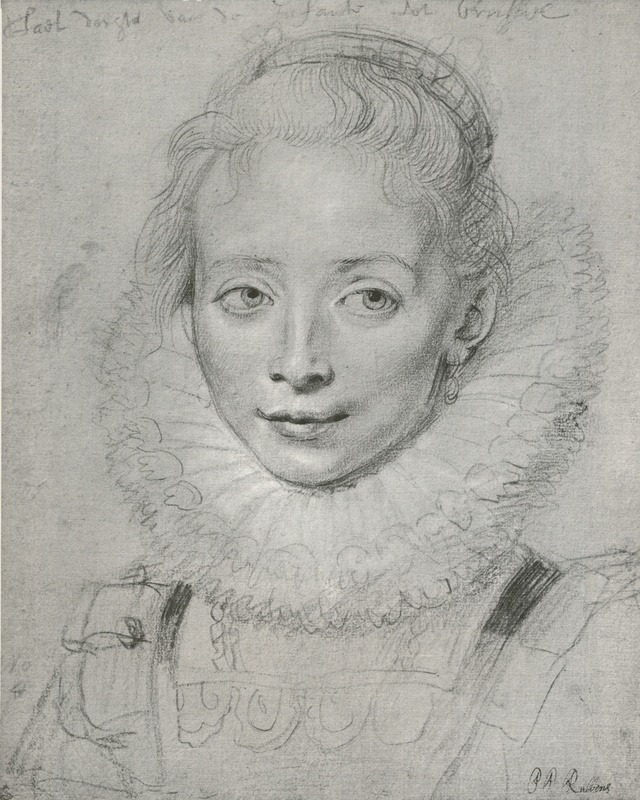 Rubens-Lady in waiting to the infanta Isabela. Crayon & red chalk, highlights in white. 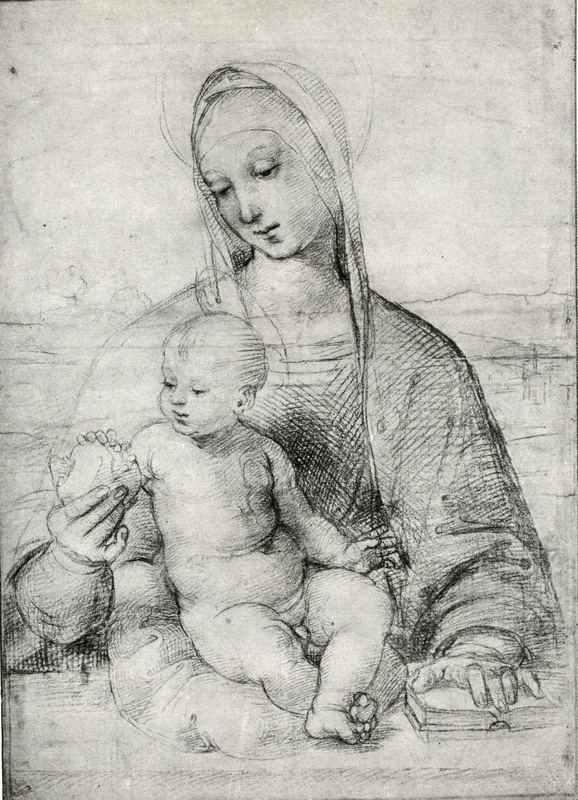 Raphael, Madonna with Pomegranate, 1502, crayon. 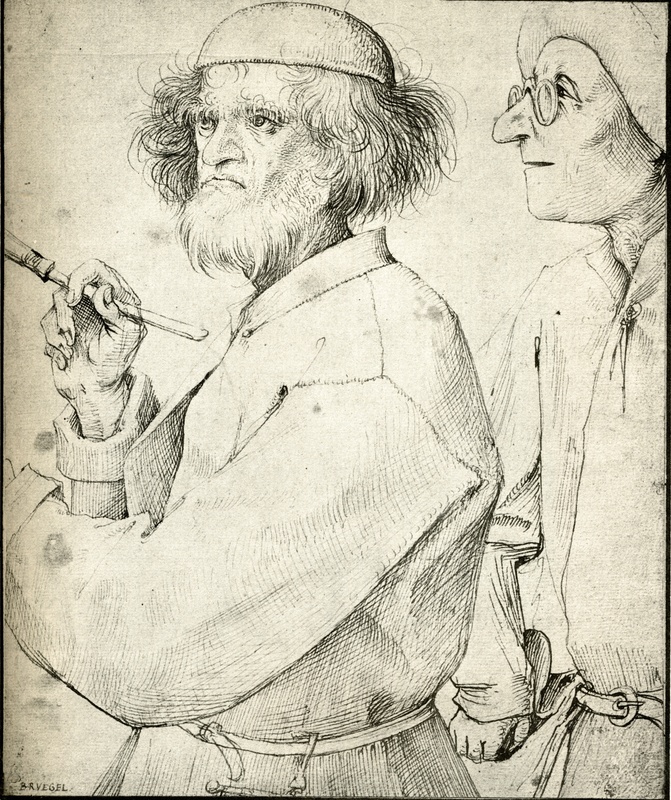 Pieter Bruegel, the elder,1520-69, pen drawing.